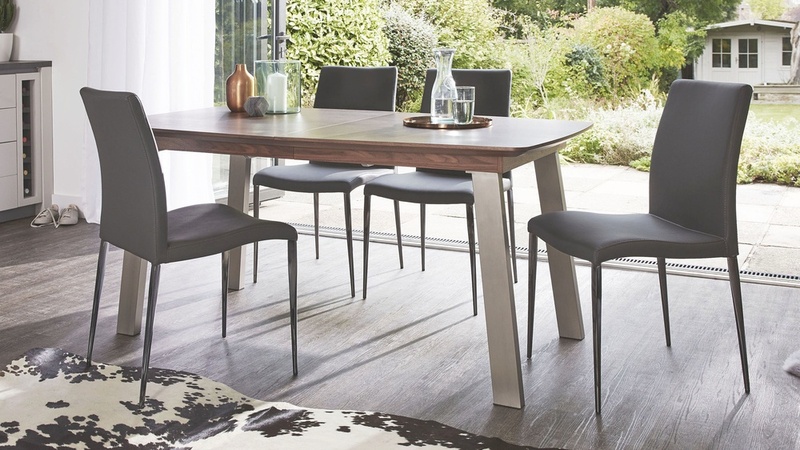 With its combination of luxe black chrome and rich walnut finishes, the Assi Walnut Extending and Elise Black Chrome Dining Set will instantly give your dining area a contemporary, stylish and really premium look. 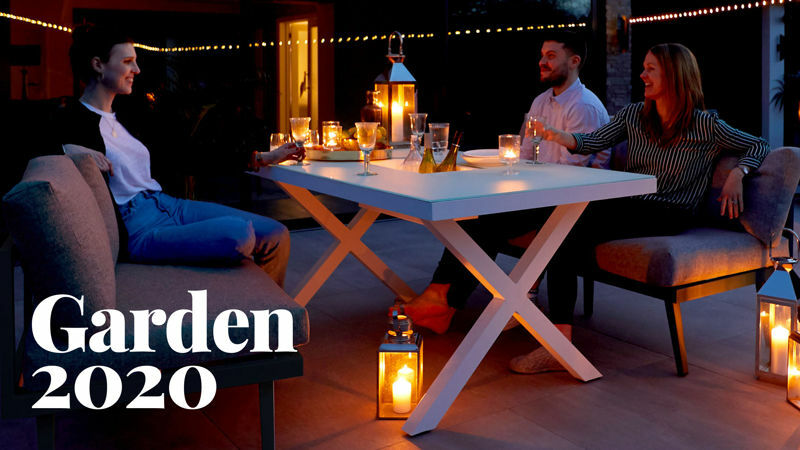 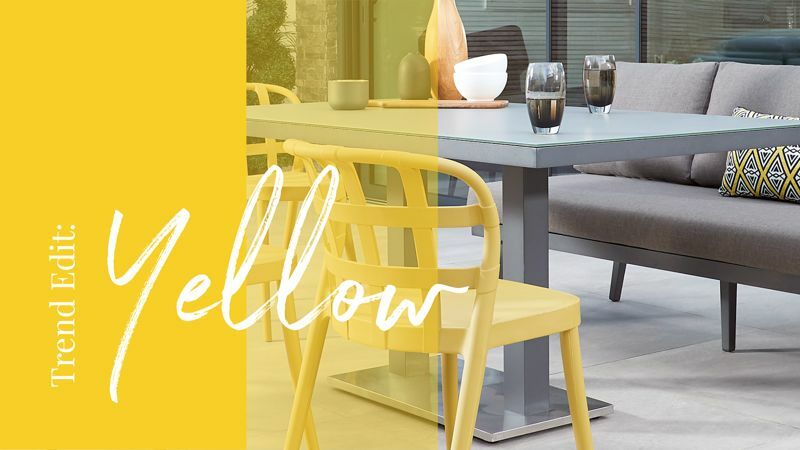 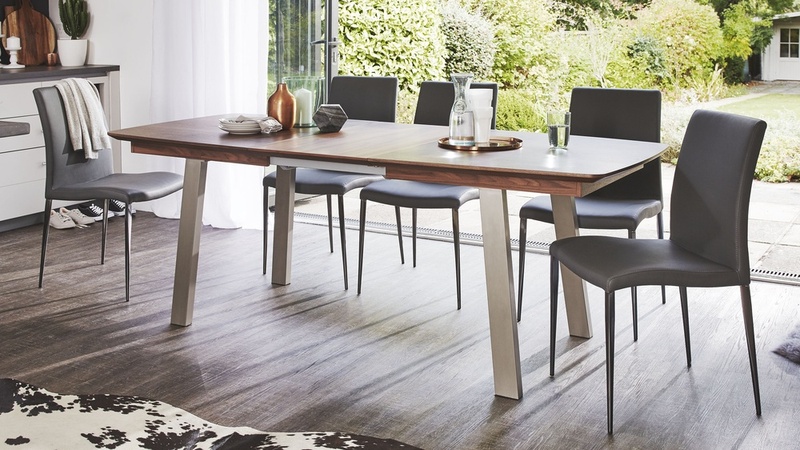 Seating between four and eight people, the Assi extending dining table is a simple but really effective way to make the most of your dining area and bring everyone together for mealtimes. 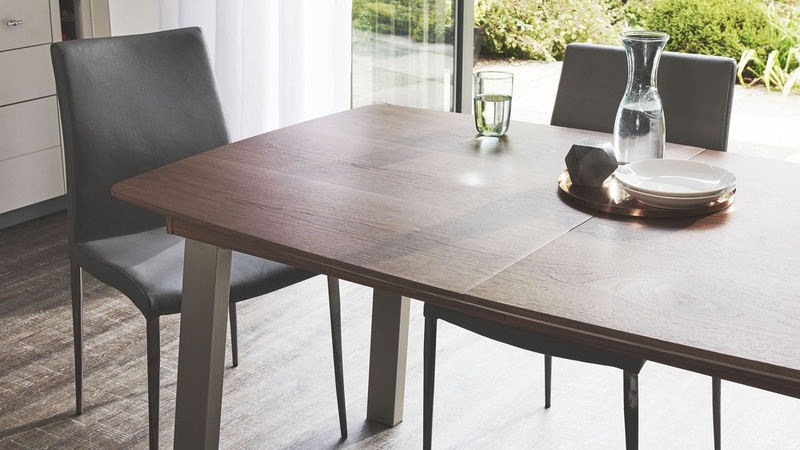 The Assi Walnut Dining Table extends from around 160cm to just over 210cm, comfortably seating between 4 and 8 guests. 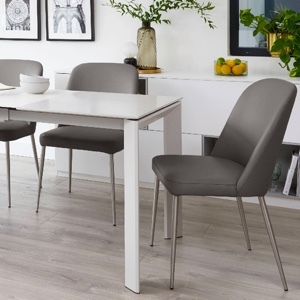 An extending dining table is an ideal choice if you don't need a large table up all of the time, but you want to seat more guests on those special occasions. 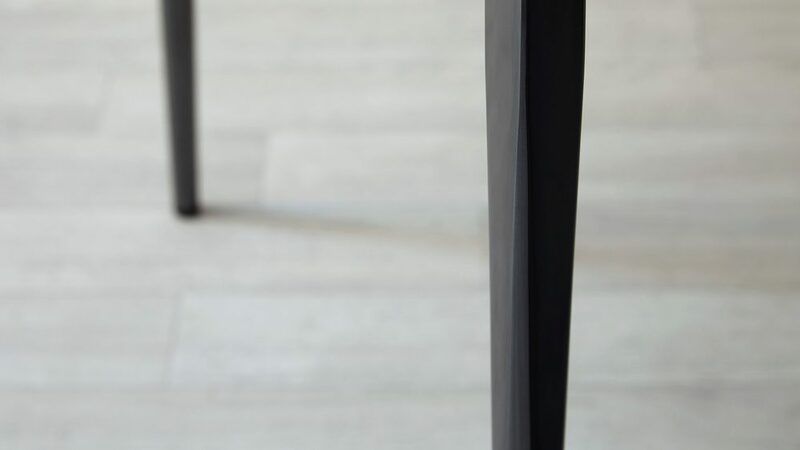 The extension mechanism for the Assi table is neatly concealed within the design of the table. 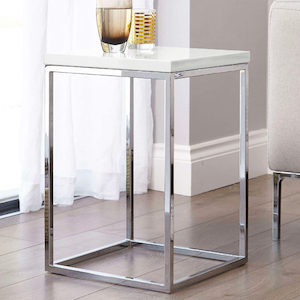 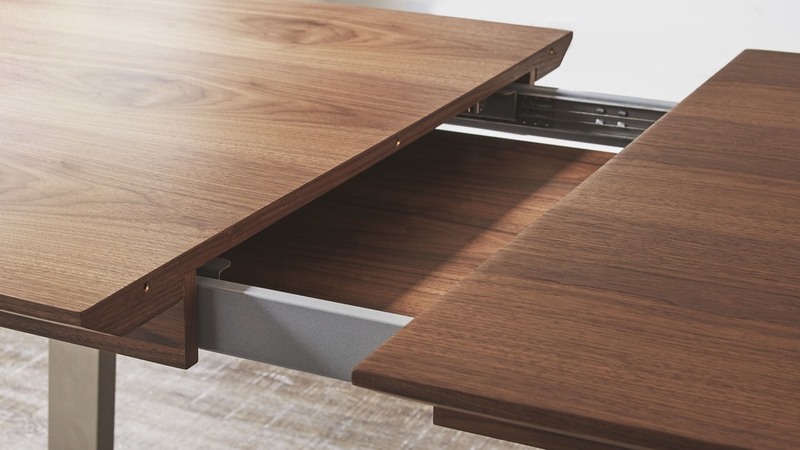 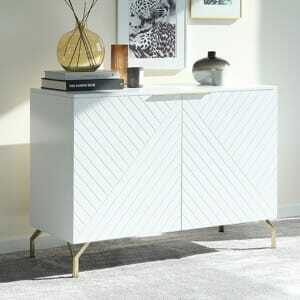 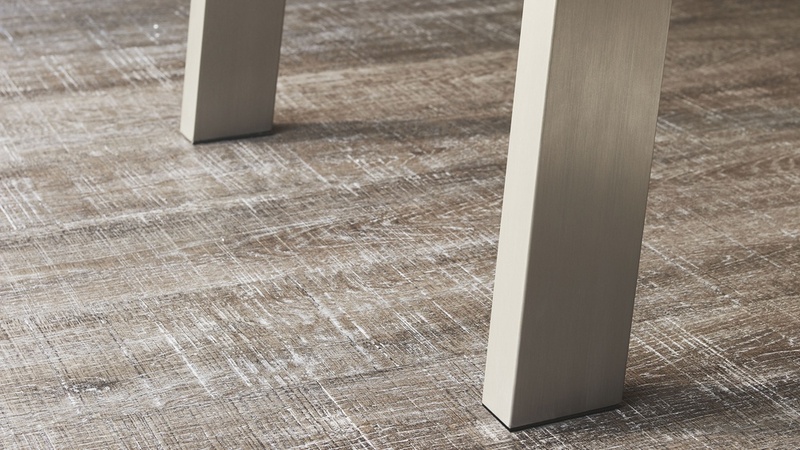 This keeps it out of sight and helps to maintain the sleek shape and smooth lines of the Assi table top. 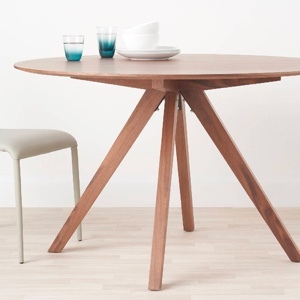 When not in use, the extension leaf for the Assi table is stored under the table top. 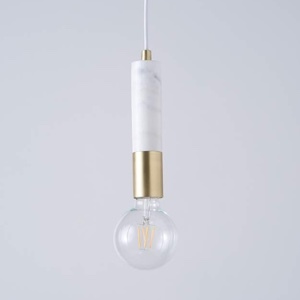 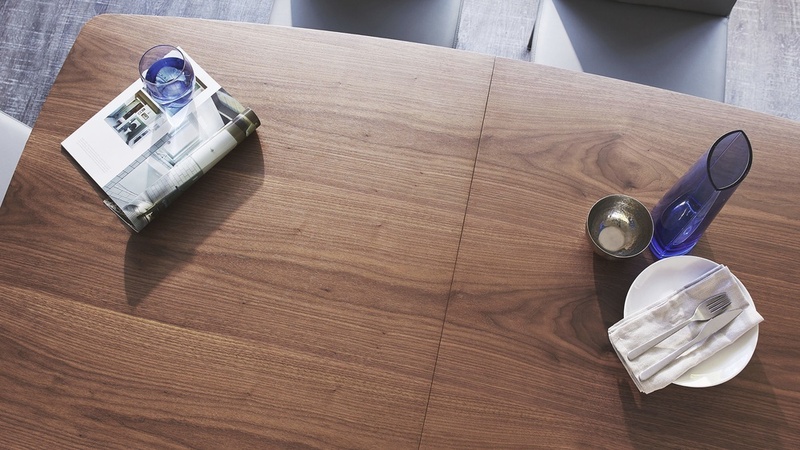 This offers some handy space saving storage as you needn't worry about storing the leaf elsewhere. 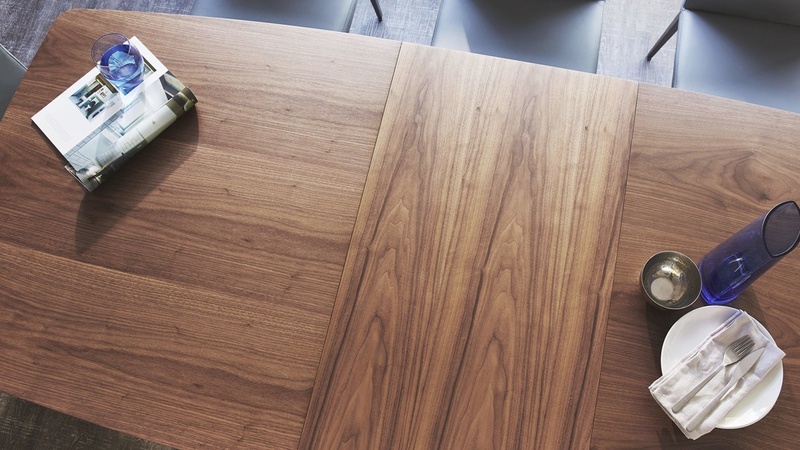 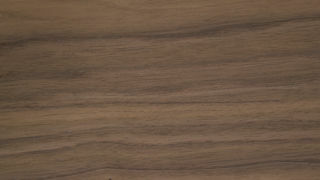 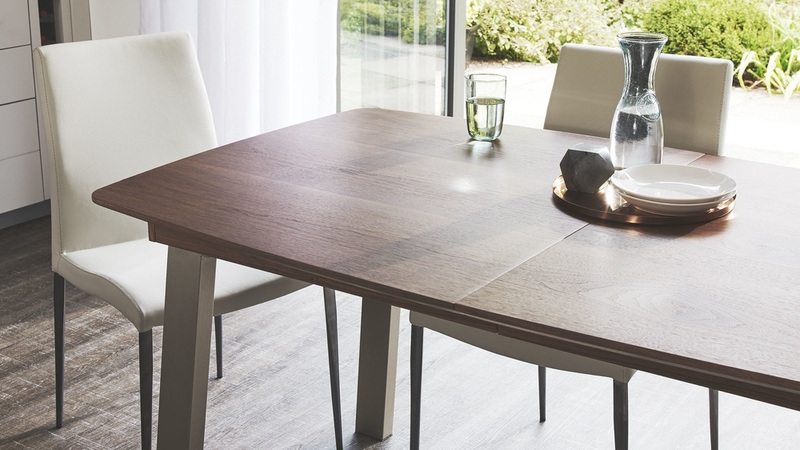 The walnut veneer table top has slightly curved ends, a slim profile and smooth chamfered edges. 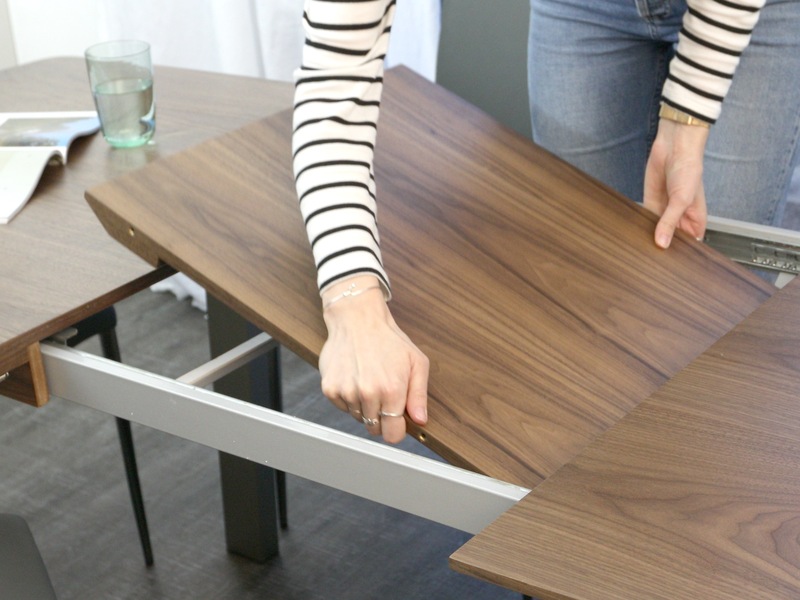 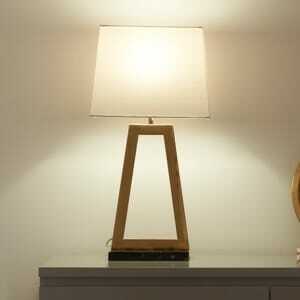 This helps to make the table edges that bit safer as there are no sharp corners to bump into. 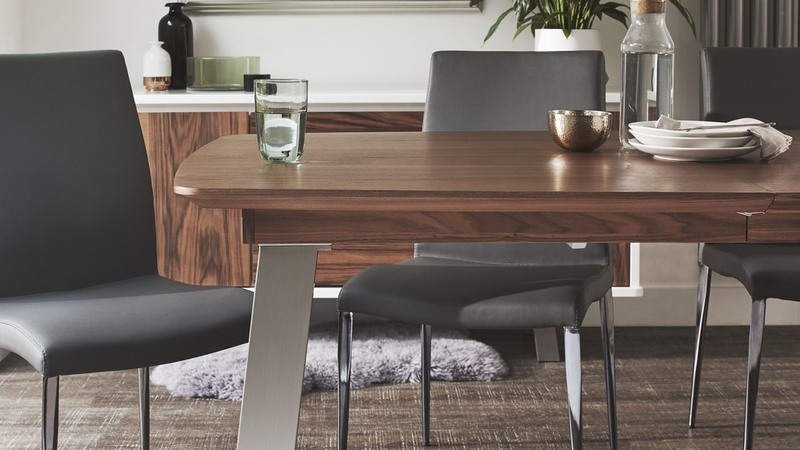 Styled alongside this rich walnut dining table is the Elise Black Chrome Dining Chair. 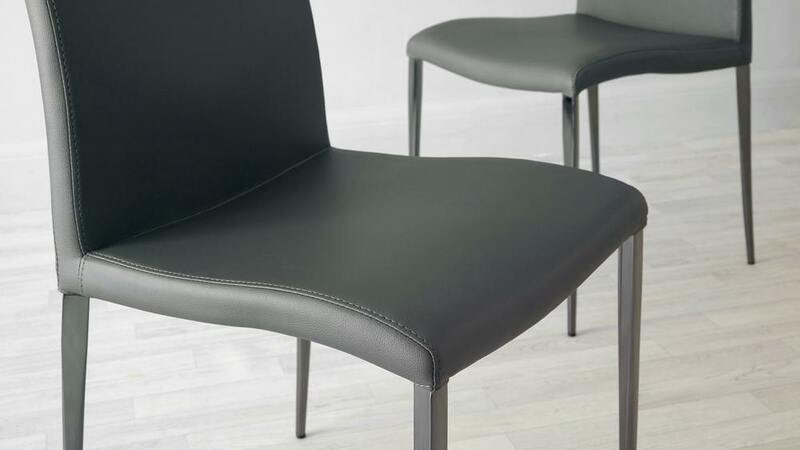 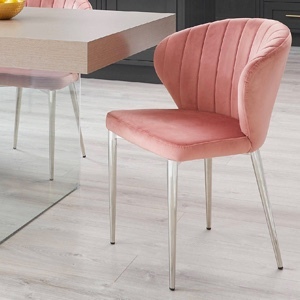 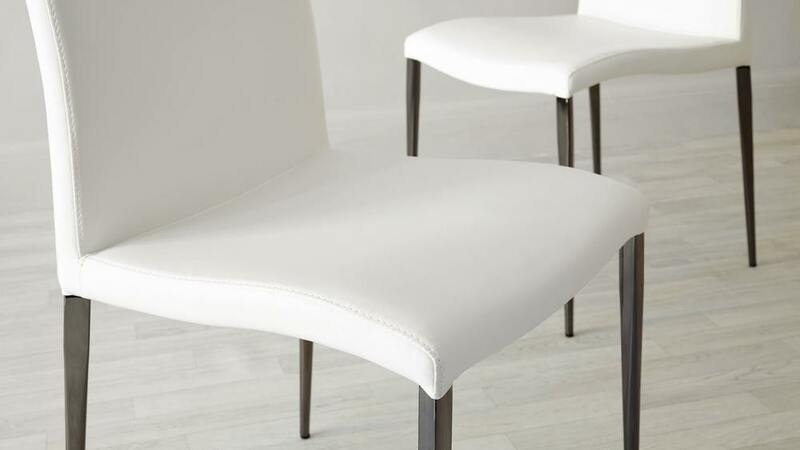 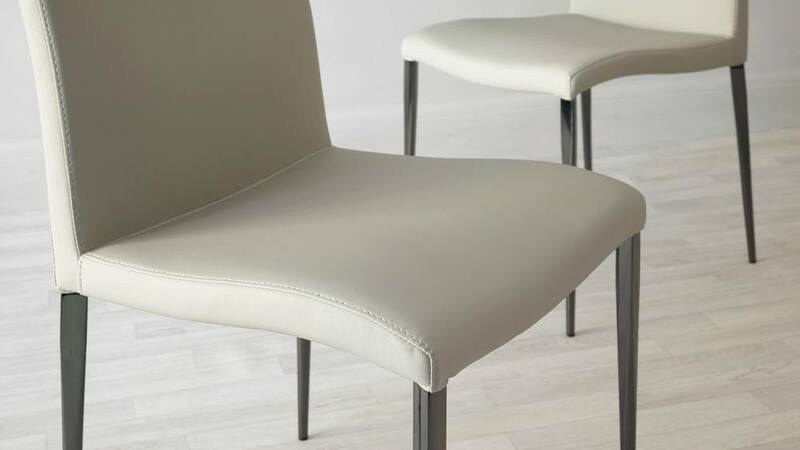 Upholstered in a soft yet durable faux leather covering, the Elise chair is an ideal alternative to having a real leather seat. 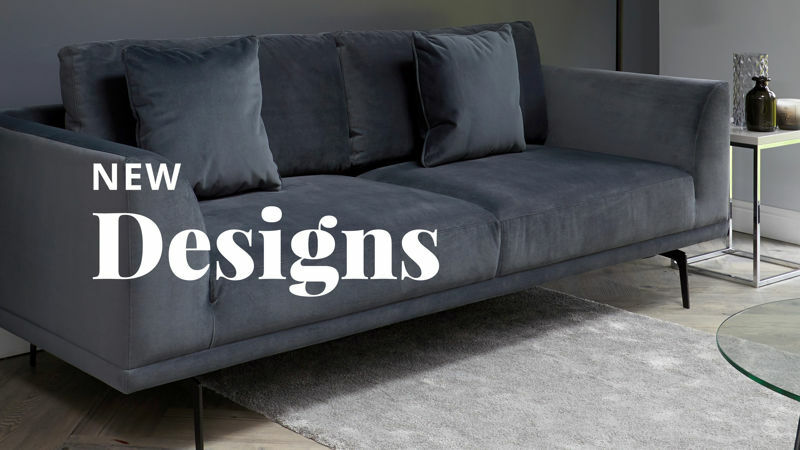 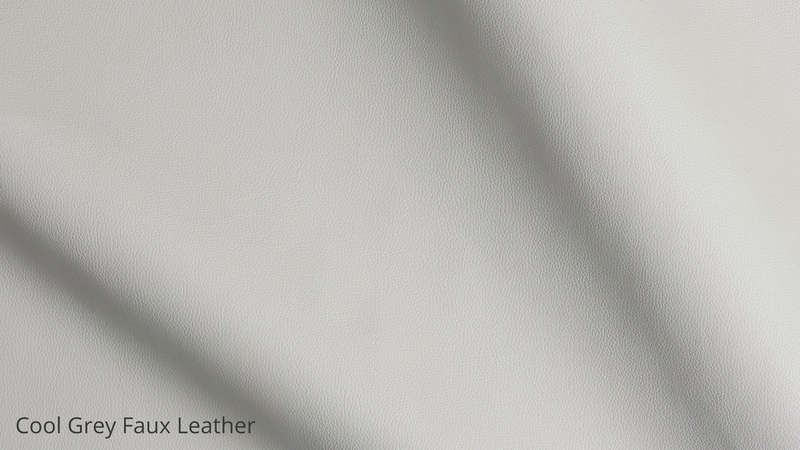 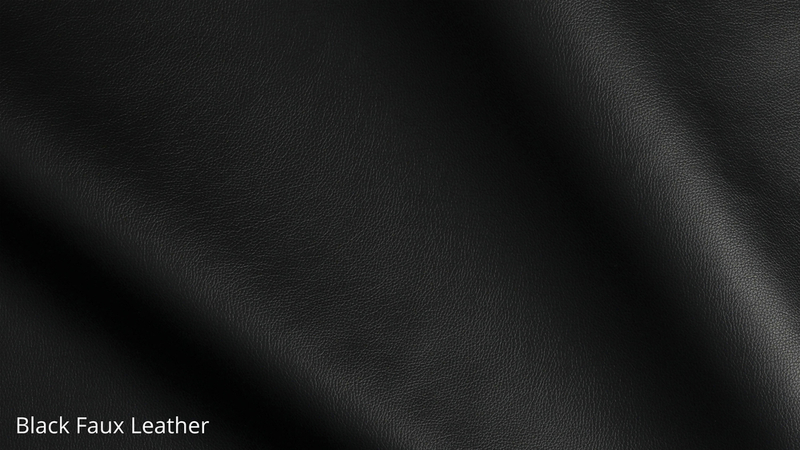 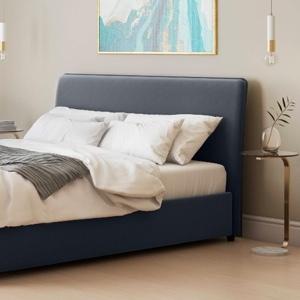 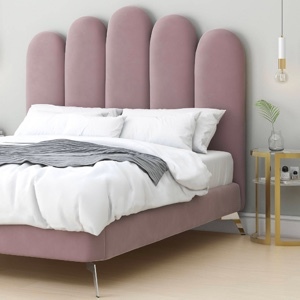 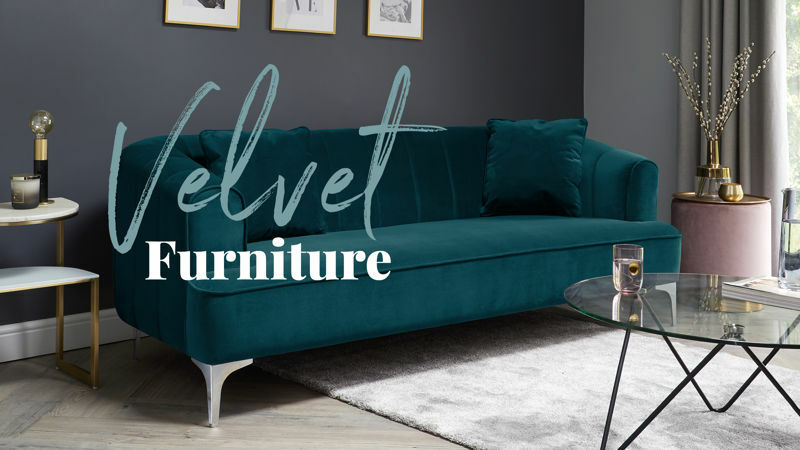 This is because faux leather is easy to clean and maintain while being that bit less expensive; great if you're working within a budget but don't want to compromise on style. 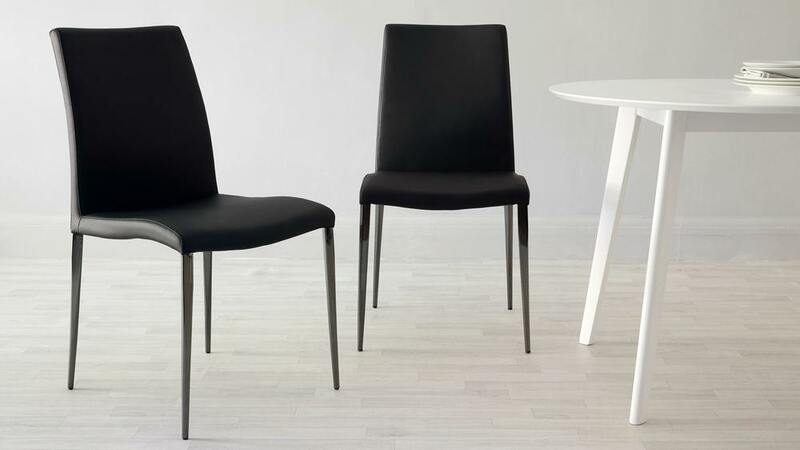 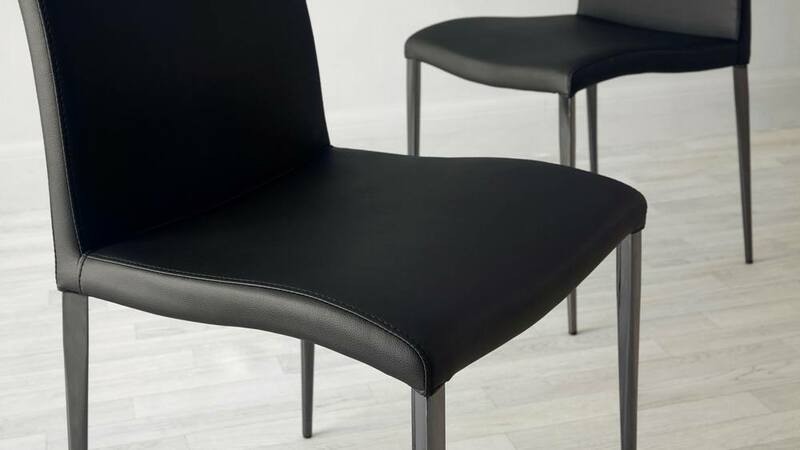 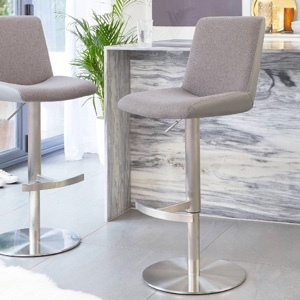 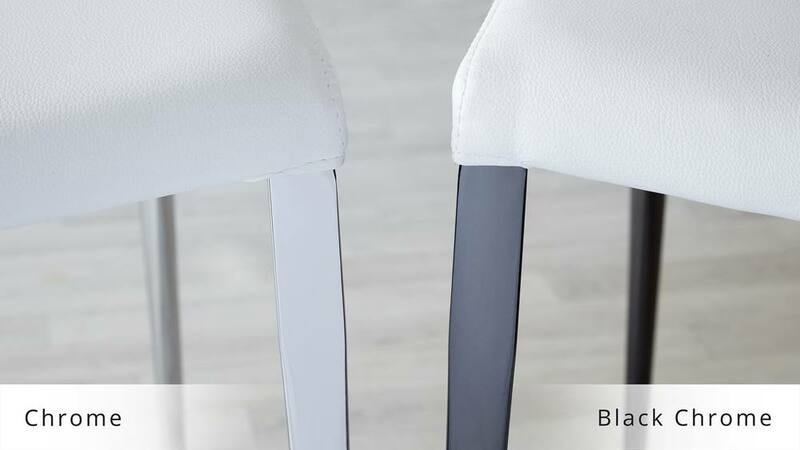 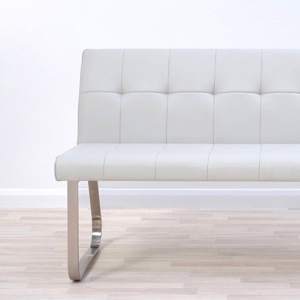 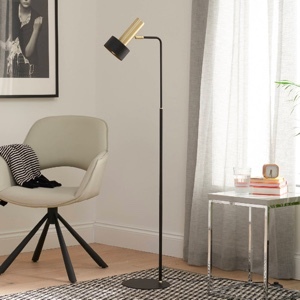 The stand out feature of the Elise chair has to be the black chrome legs. 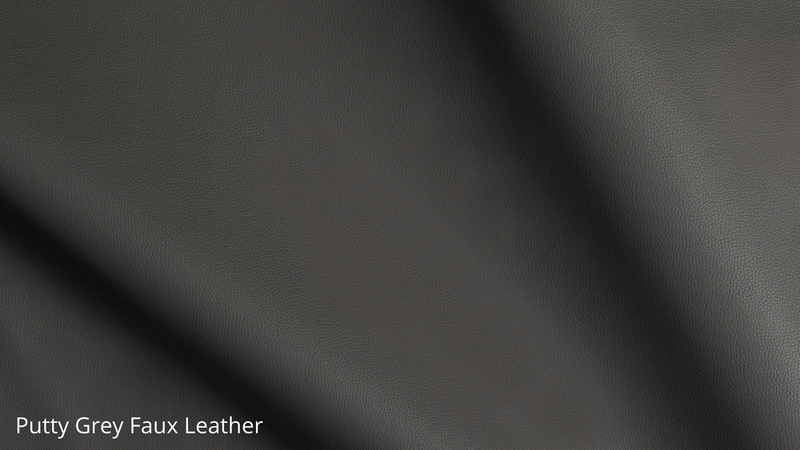 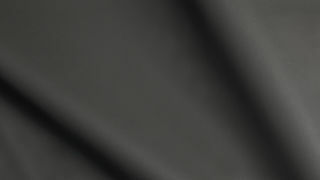 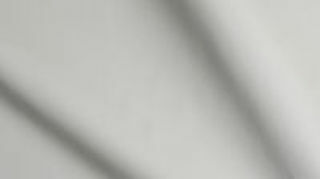 Black chrome is a luxe, shiny surface that has all of the properties of chrome but with a deep black pigment. 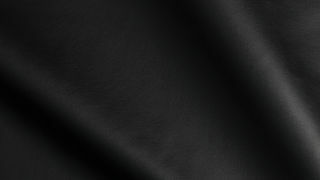 It's not a solid black but it has a deep, midnight grey quality about it. 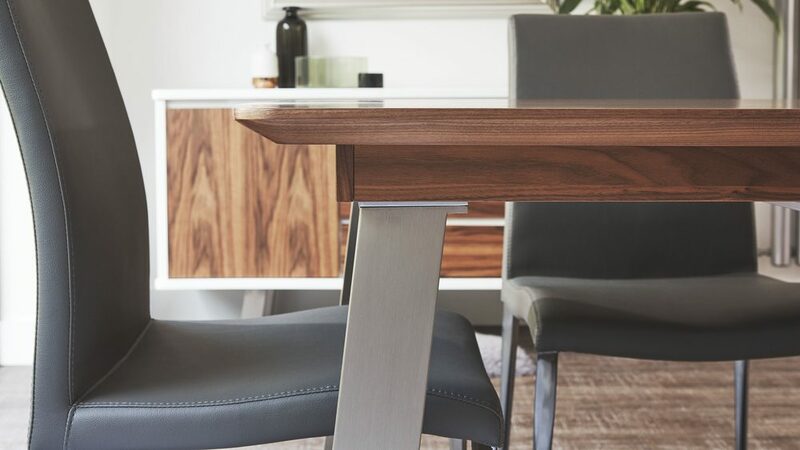 This gives the Elise chairs a really affluent and premium look and is also a great coordinating feature next to the rich walnut table top. 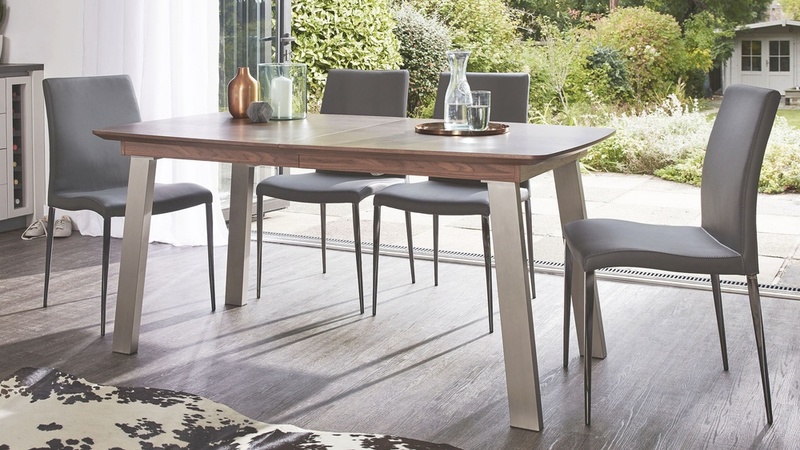 Modern, stylish and practical, the Assi Walnut Extending and Elise Black Chrome Dining set will instantly create a contemporary dining setting in your home. 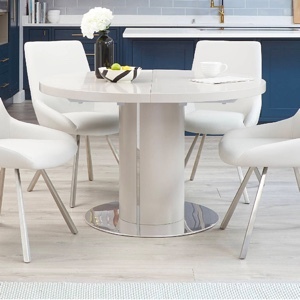 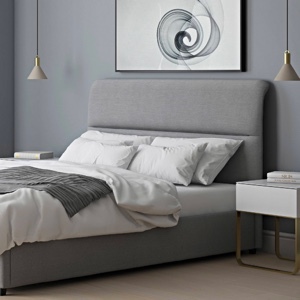 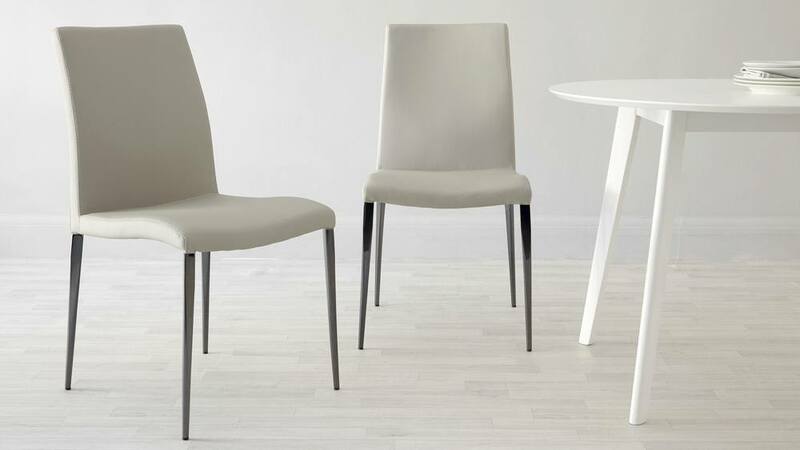 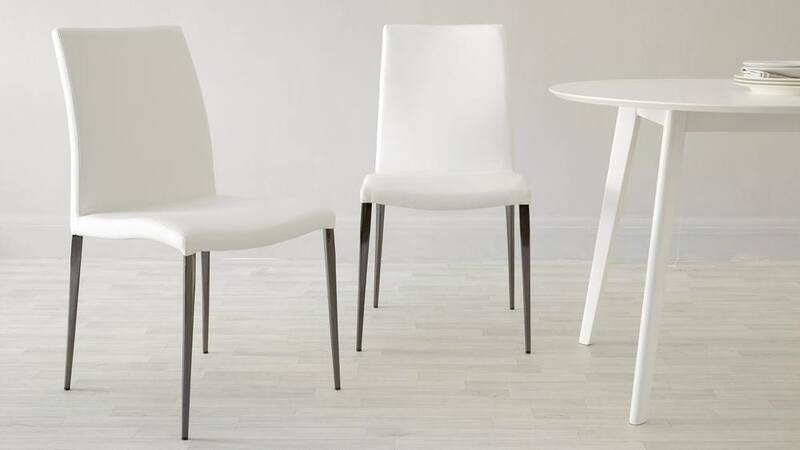 We also have the Assi White Gloss Extending Dining Table and Assi White and Grey Gloss Dining Table available if you're after a glossy, high shine table finish.